We can’t think of a force less likely to bring about the governance of America according to conservative principles than the reemergence of Mitt Romney to, as U.S. Chamber of Commerce political strategist Scott Reed put it, fill the leadership “void” in the national Republican Party. Nor can we think of anything that better illustrates the growing divide between to so-called donor class of Republicans and what Angelo Codevilla identified as “the Country Class” of conservative voters in his essay “America’s Ruling Class —and the Perils of Revolution” in the July–August 2010 issue of The American Spectator. As we contemplate just how scary the re-emergence of Mitt Romney is, we are reminded that this is the same Mitt Romney who said, "I've been as consistent as human beings can be," because one constant identified in the article was Romney's continued reliance on and alliance with Republican consultants and moneymen who favor content-free campaigns; such as Scott Reed, who ran Bob Dole’s content-free 1996 campaign for President where Dole offered to change positions and be Ronald Reagan if that’s what the Party wanted. The other constant is Mitt Romney’s support for big business – big government oriented candidates who are opposed by grassroots limited government constitutional conservative voters of the GOP, such as Idaho Congressman Mike Simpson and Oregon Senate candidate Monica Wehby. One friend of ours said Mitt Romney wants to be the “anti-Jim DeMint,” and by joining forces with the U.S. Chamber of Commerce to support Big Government Republican candidates like Simpson and Wehby against Tea Party movement and limited government constitutional conservative opponents Romney is making it quite clear that he has little in common with the former South Carolina Senator’s principled approach to government. As CHQ Chairman Richard A. Viguerie noted in his new book TAKEOVER, many observers will be tempted to blame external factors for Romney’s 2012 election defeat, but the common thread that ran through the Romney debacle and all of the recent Republican presidential failures was that the Republicans failed to define themselves as the Party of less government. Cut through all the insider commentary and what really distinguishes the Republican establishment from conservatives is that establishment Republicans, such as Mitt Romney, like big government and the spending, taxes and regulations that go with it. And if the choice is between Big Government Republicans and Big Government Democrats, the Republicans almost always lose. Still, Costa and Rucker report that the Chamber’s Scott Reed said he expects Romney to assess the GOP field sometime in 2015 and give serious consideration to another candidacy. “He could come on the scene around Labor Day [of 2015] because he’s able to flip his switch,” Reed told Costa and Rucker. Reed argued that Romney could activate his fundraising network and be in a “commanding position” faster than any other prospective candidate. In 2010, the Tea Party wave election brought Republicans back to power in the House, and elected hundreds of constitutional conservatives down ballot, by offering voters a clear choice between leftist Democrats and Republicans who stood for smaller, limited constitutional government. In 2012, the establishment Republicans who held the reins and the checkbooks chose to run negative ads against Obama and campaign almost solely on Romney’s biography and economic policies, while skipping the social issues and the concerns of Tea Partiers and small government constitutional conservatives. In 2012 you couldn’t find conservative ideology anywhere in the Romney campaign, the establishment GOP’s national advertising or even from Karl Rove’s much vaunted Super PACs. Making the welfare state more efficient is not exactly a compelling conservative vision of the future, or even a credible one given the Republican establishment’s record on spending, earmarks and pork. In choosing to ignore the larger conservative agenda Romney chose not to follow the path that led Republicans to win seven of the previous eleven presidential elections. We can’t think of a better way to make sure the next President is a Democrat than to bring Mitt Romney back as the Republican Presidential nominee in 2016. Submitted by tkdoc on Mon, 08/04/2014 - 20:10. Mitt Romney and the current leadership of the Republican Party (Rance Preibus, Mitch Mc Connell and John Boehner) lost the Presidential Election to a totally incompetent President in 2012. After four years of Obama failures, a horrible economy, millions out of work and the rest of the world laughing at what was once the most Powerful Nation in the world, the establishment Republicans LOST the Presidency and failed to win the Senate. How can anyone believe Romney and his RINO buddies would do any better in 2016? 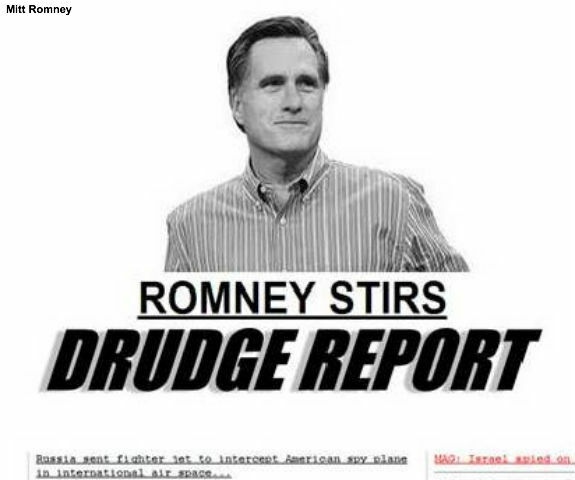 Mitt failed to mobilize conservatives in 2012 who knew if they did not vote they would have BO for another four years. Over 1 million conservatives did not vote in 2012 because they did not believe Romney was a real conservative and there is nothing he has done to change that opinion. If he is nominated by the Republican Party he will loose again. And if the establishment Republicans do not change their attitude toward Tea Party conservatives, they will loose the Senate again and possibly the House. Submitted by David Givens on Mon, 08/04/2014 - 16:04. I want a conservative Republican dream team! For several months now you have been conducting a monthly presidential straw poll. Gov. Sarah Palin has consistently overwhelmed the opposition — individually and collectively. I would like a campaign with a proposed Republican administrative TEAM. Palin will be President she is the most Reaganesque, conservative, small-government, balanced-budget candidate on the scene. Speaker Newton “Newt” Gingrich will head up a Department of Foreign Affairs which will control the Bureaus of Defense, State and all other U.S. government functions overseas. Mr. Herman Cain will be secretary of the Interior charged with shutting down all unnecessary, and redundant Federal organizations and selling all necessary federal functions that can be done more efficiently by private industry. He has years of experience at making organizations more efficient. Gov. Willard “Mitt” Romney is also perfect for this position but I have better position in mind for him. As Vice President/Chief of Staff, he can still be intimately involved. His main job as V.P./C.O.S. will be to run the day to day operation of the government. Sen. Randal "Rand" Paul will be the Secretary of the Treasury charged with getting the United States off fiat money. All other candidates, proposed candidates and suggested candidates can be folded into one of these four offices. Like the captain of a ship, Palin will be in command and establish the direction of the country. They will all run for president as a team! NOTE: THIS COMMENT WAS CLIPPED FOR LENGTH. Submitted by gblumel on Tue, 08/05/2014 - 13:25. Dave should be in the White House somewhere to motivate the team. Two major players missing from the team are Ted Cruz and Ben Carson. Alternatively, I could see Ted Cruz as president and Carson as vp. Nothing against Palin and Romney but in other capacities. Putting together our strongest candidates as a team is brilliant. Submitted by WeimMom on Mon, 08/04/2014 - 12:53. America is in desperate need of a President with morals & ethics, Romney fits that bill! The GOP constituents is/will continue to lose support if they continue to stay home, not voting is supporting the Socialist agenda! Submitted by dantalbot on Mon, 08/04/2014 - 12:03. This article is absurd. Romney would have made an excellent POTUS and shame on the 3 million hard-a$$es and die-hards who sat on their hands and bashed him as not being passionate enough. Some of the die-hards wanted him to light his hair on fire to prove his passion. Romney is a good man, and conservative enough. Submitted by jwagner on Mon, 08/04/2014 - 11:47. Being a lifelong Lincoln Republican, I cannot agree more with Richard Viguerie. Not only is Mitt Romney a “Big Government/More Taxes” Regime Republican, he has a history of reaching across the aisle... and when this is done Truth and Good are compromised. Submitted by mdbaguley on Mon, 08/04/2014 - 10:54. Submitted by texal on Mon, 08/04/2014 - 10:47. It is my personal opinion that Romney isn't strong enough to fight for leadership in the Republican party. He absolutely fizzled out against Obama when he had the opportunity to filet him and didn't. That did it for me. If he doesn't believe in what he stands for enough to stand strong then he isn't ready or capable to lead. I like Romney personally, but I think in the current political atmosphere we need someone like Netanyahu who stands for his country and what is best for it no matter what anyone says or does. He is a leader!